The role of the Forum is to promote discussion and exchange of expertise towards advancing economic, cultural and educational development of the Arab world. To organize discussion of economic, cultural and educational issues that would serve stakeholders and decision makers from all fields. To cooperate with Arab and international organizations, NGOs, research centers and corporations in holding specialized workshops, seminars and lectures on relevant issues and topics. To enhance the progress of businesses and promote Arab economic, cultural and educational development through interaction and exchange of expertise. 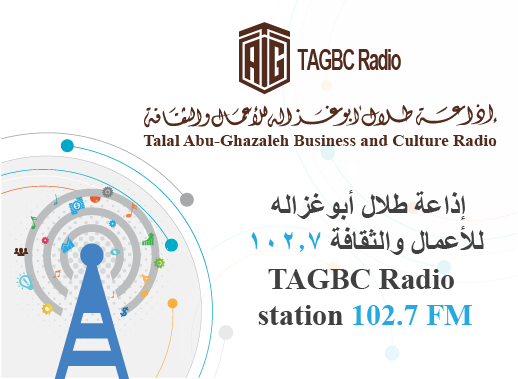 The Talal Abu-Ghazaleh Knowledge Forum (TAGKF) is the brainchild of HE Dr. Talal Abu-Ghazaleh and is intended to provide an independent platform for promoting dialogue and exchange of ideas and expertise among decision makers and leaders across all sections of society. TAGKF is ready to host social, cultural, business, educational and protocol events according to the highest standards with all the necessary audiovisual technology for hosting small-scale or large-scale key events. Our team of event planners is ready to organize, plan and work on making your event a successful one that can be prized for years to come.